Holiday and seasonal events around the year are special and exciting days for children and provide the perfect opportunity for creating an enthusiastic educational environment in your classroom. In Pumpkin Patch Math, your students will have fun counting down as pumpkins are picked from a pumpkin patch. They’ll discover important ways to be kind to each other from the lessons they learn in Valentine’s Day Around the Clock. In We Love Spring! they’ll celebrate the new life that accompanies spring’s arrival. Children will delight in reading and rereading these plays as they build fluency and gain CONFIDENCE as readers! Engaging and easy-to-use extension activities with literature links are included for each play, beginning on page 6. You can use these cross-curricular activities and book suggestions to reinforce and extend concepts introduced in the plays and to support those that you teach. 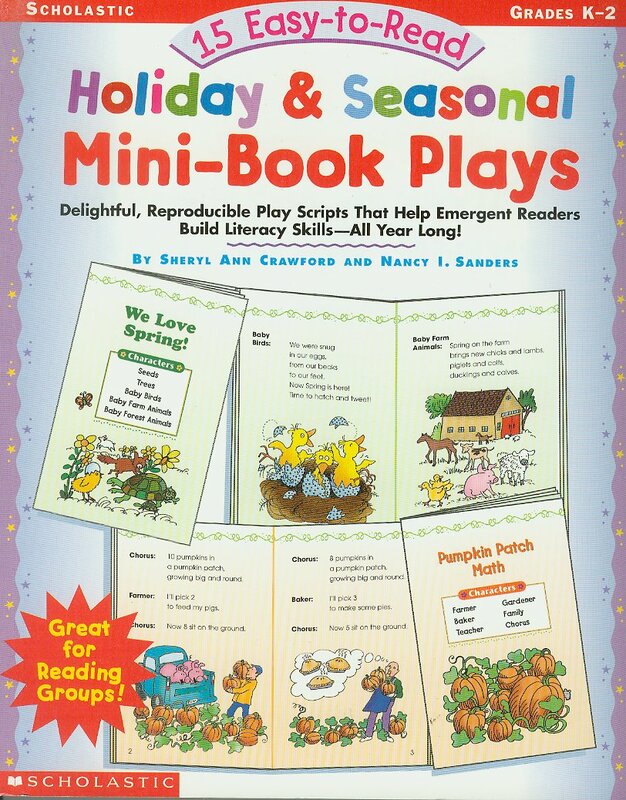 From Leaf Laughs in the fall to Playing at the Beach in the summer, we hope that these mini-book plays help you and your students enjoy an celebrate special occasions all year long! Titles include: Three Cheers on Presidents Day!, A Very Important Holiday (Thanksgiving), Snowflake Tag, and A Fourth of July Sky! Mention a mystery that needs to be solved, and children’s curiosity is instantly piqued! What happened? What are we going to do? How can we solve the mystery? What better way to pull children into a lesson than by offering them a mystery to solve? As children read the adventures of Sue McClue and Casey Counts, the Number Detectives, and their lovable dog, Sherlock Bones, they will probably want to become Number Detectives, too. Teachers and Home-Schoolers, on page 7 of this Scholastic Resource Book, you’ll find instructions for making Number Detective Kits! Children can use their kits as they play detective and learn to utilized basic math tools, such as a multiplication chart. In addition to strengthening essential math skills, the mini-book format also encourages reading! Lively, interesting pictures help readers decode the text and follow the action from one page to the next. Math doesn’t have to be a mind-boggling mystery for kids! I (Sheryl) LOVE this book! It’s exactly what I needed as a youngster. Understanding how math is incorporated into daily life is a key concept of developmental learning for primary-age children. 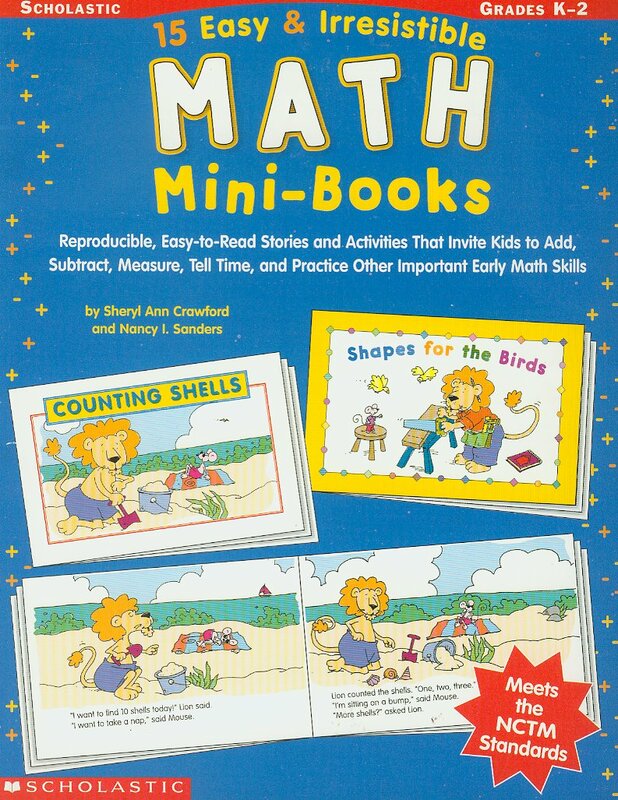 In this book, students read stories in which math is used in EVERYDAY situations, such as counting seashells at the beach or baking cookies. This reinforces the idea to young children that we are living in a math oriented world! These mini-books introduce LION and MOUSE, two lovable and humorous characters who will win the hearts of your students. Predictable language and repetition will help young readers gain confidence practicing their reading skills, while strengthening their math skills as the eagerly join Lion and Mouse’s math-driven adventures! Children will measure the size of Lion and Mouse’s friends, watch the clock while cooking Tick-Tock Soup, and add the number of falling leaves. The last page of each mini-book is a related activity page that reinforces the story’s key math concept. Students will take pride in their ability to complete the activity of the mini-book that they have just finished reading. An extension activity is included to further reinforce the concepts in each mini-book. Children learn a rhyme about disappearing crickets as they count backwards from 5. They learn about shapes while cutting out birdhouses for a bulletin board display. They count to 100 while sharing small surprises from home. We hope these funny math mini-books will make your students fall in love with Lion and Mouse, and cause them to giggle while sparking their interest in math! Titles include: Mouse Has Hiccups!, Camping Fractions, Five Loud Crickets, Subtraction Cookies, & Let’s Go to the Store! 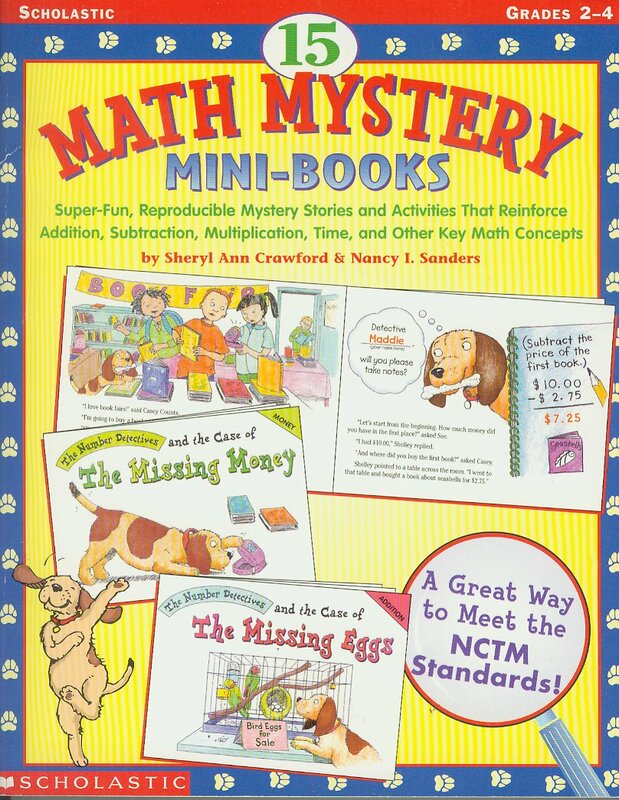 These mini-books and their corresponding activities correlate with the NCTM Standards. Children love to giggle, and laughter is commonly known as good medicine for souls young and old. The 15 mini-book plays you’ll find in these pages blend learning and laughter by introducing funny characters and silly situations—while at the same time building emergent reading skills and curriculum concepts! Nutty Nature, Silly School Days, and Funny Fairy Tales and Nursery Rhymes. Children will learn good manners from little monsters in school, and they’ll practice phonics skills as silly bears create havoc at Goldilocks’ house! These plays teach important early concepts and encourage children to become more CONFIDENT READERS! Fun and easy extension activities are also included for each play. You can use these cross-curricular activities to reinforce concepts introduced in the plays. Titles include: Egg Crack-Up, The Rainbow Zoo, Silly Sounds Song, Three Little Pesky Pigs, Hide-and-Seek With Little Bo-Peep, and Mud! Mud! Mud! Imaginative play and make-believe are precious joys of childhood. These joys are often minimized by the the time spent watching television and playing video and computer games. This makes it even more important to provide children with opportunities to use their IMAGINATIONS as the learn. Performing simple plays, whether by reading aloud or acting them out at school or at home, furnishes children with memory-building moments of creativity. In this book, we’ve tried to create easy-to-read mini-plays that reinforce ESSENTIAL MATH SKILLS, fit into your busy school day, spark the imagination, and tickle kids’ funny bones. We’ve chosen themes that kids love, such as dinosaurs, outer space, toys, and “monsters”. Children will have fun using skip counting to count chicken pox spots in “Chicken Pox Party.” They’ll giggle as a hungry anteater chases marching ants that have added numbers to their ranks in “Adding Ants.” They’ll subtract carrots with delight as forgetful rabbits dish up “Almost Carrot Stew.” Along the way, you’ll be able to introduce or reinforce valuable math skills that will last a lifetime. Enjoy these plays and use them to guide children into the world of imaginative play—where mathematics COMES ALIVE! 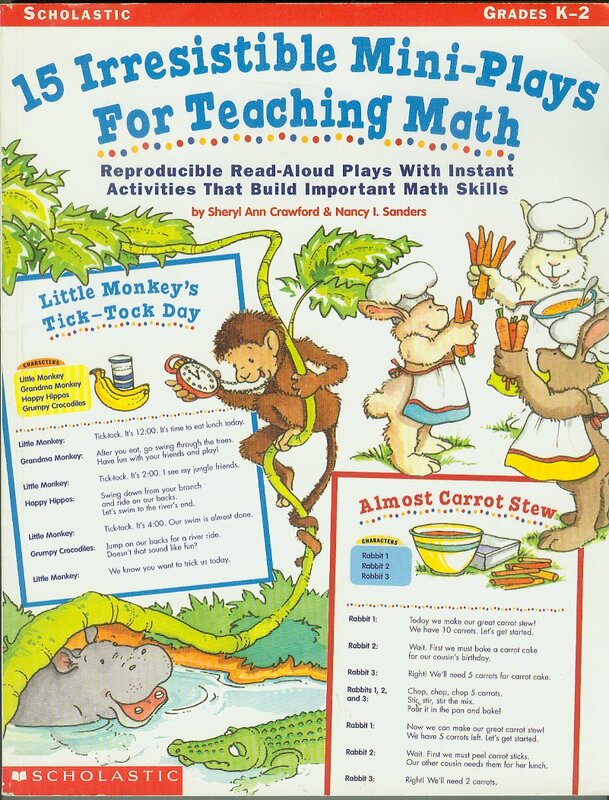 Titles include: Little Monkey’s Tick-Tock Day (Telling Time), Toy Store (Money), The Round-Up (Grouping), Elephant Sleepover (Fractions) MY FAVORITE! This book meets the NCTM Standards. Children love to point out their favorite places. They excitedly call attention to everything from ice-cream shops to pet stores. 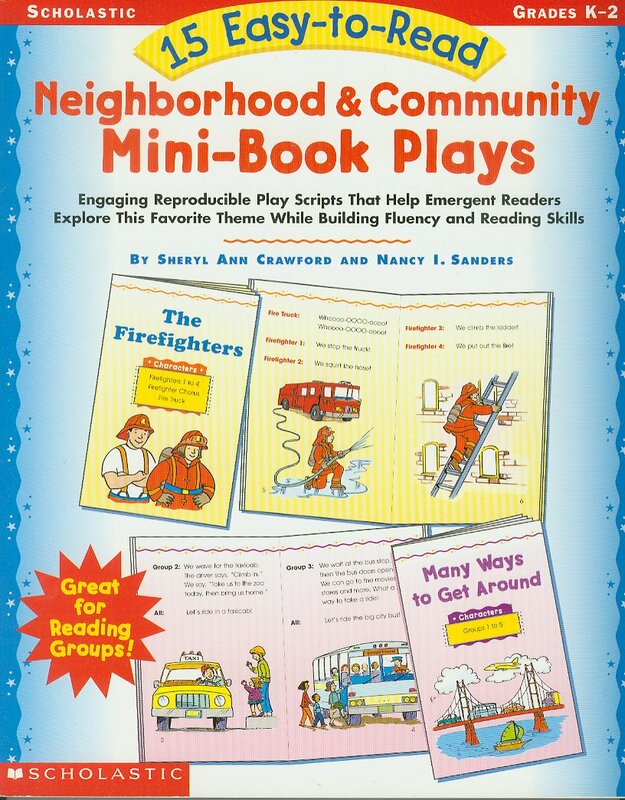 The 15 mini-book plays in this book help children build important reading fluency skills and learn about neighborhoods and communities in a fun way! To help you weave this collection into your curriculum, the plays have been grouped into three themes: Community Helpers, Places in the Neighborhood, and Neighborhood adventures. In Many Ways to Get Around, students will read about different kinds of transportation an discover how people move from place to place within their communities. They’ll learn the many ways police officers help people in Friends We Can Call On. Written for a variety of reading levels, the plays can easily be read and performed (without props!) to meet your instructional needs whether that be in public, private, or home-schools! After reading the plays, use the Curriculum Connections on pages 6-12. These provide engaging extension activities that reinforce the social studies, math, and language arts skills and concepts you are teaching. In addition literature links are included for every mini-book play. Some titles include: Mary Went to the Library, Health Care for Kids, Foods From Around the World, and The Firefighters. 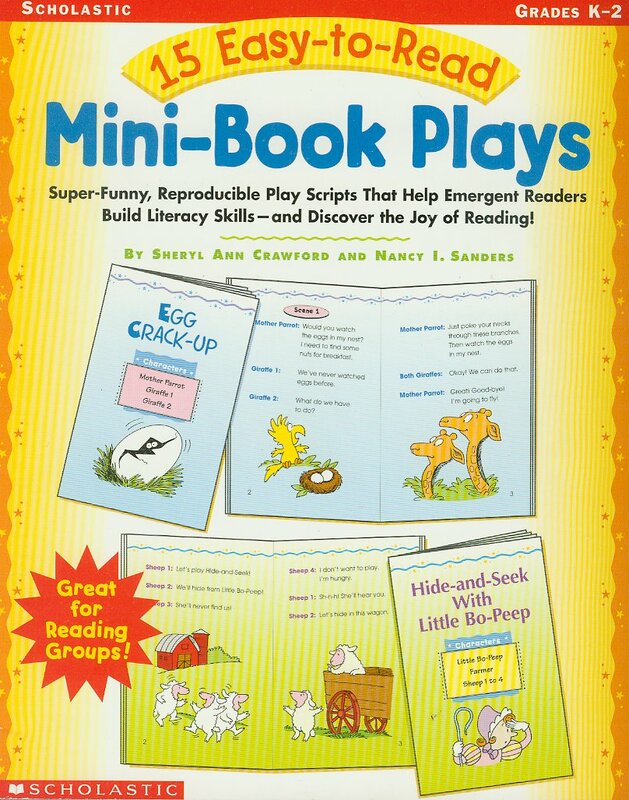 These 20 short, reproducible plays require NO props, are perfect for readers theater, and will expand vocabulary, and build fluency. 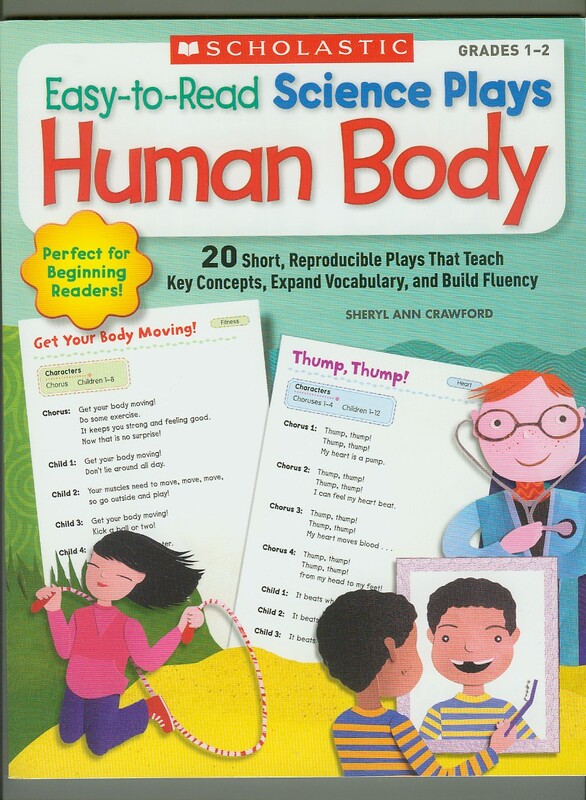 Teachers and Home-Schoolers, introduce your students to the amazing human body! Children will learn key concepts about the human body with engaging plays, lots of humor, and familiar songs. Topics include the brain, heart, lungs, muscles, skeleton, the five senses, the immune system, organs, nutrition, fitness, safety, and more! The easy-to-read text includes rhyme, repetition, and predictable language to build reading confidence. Includes science background and great extension activities that reinforce key concepts and vocabulary. The plays and activities in this book are aligned with KEY LANGUAGE ARTS AND SCIENCE STANDARDS. Amy Tate: Sherri, this looks fantastic!!! I want one for my daughter, thanks so much for this!